To mark Eid Al Adha, Burj Rafal Hotel Kempinski in Riyadh is offering special packages at its restaurants, spa, and rooms for those who are looking for infinite elegance, excellence and luxury. At Aroma Restaurant, one can enjoy the International cuisine with Arabic specialties with friends and family. For those dining with a group of four, the restaurant offers a special deal where one can pay for three persons and the fourth one will be free. Guests can also interact directly with chefs, who will provide a distinctive recipe of special food. Meanwhile at Tuğra Restaurant, which is best known for providing authentic Ottoman cuisine, one can enjoy the blessed Eid al Adha holiday with a 20 per cent discount on the Sultan's menu with the authentic recipes of Sultan’s era. 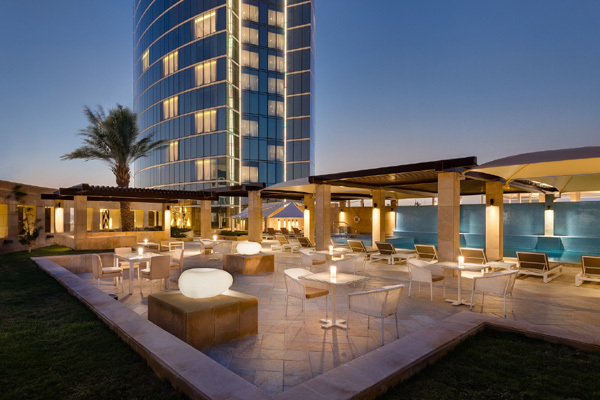 Abdulaziz Al Amri, director of sales and marketing, Burj Rafal Hotel Kempinski, said that the purpose of the hotel’s special offers is to allow guests to have a unique experience this Eid.